So they made me go there… I was literally forced to go out on Friday evening and I didn’t feel like leaving a cosy and warm apartment that time. 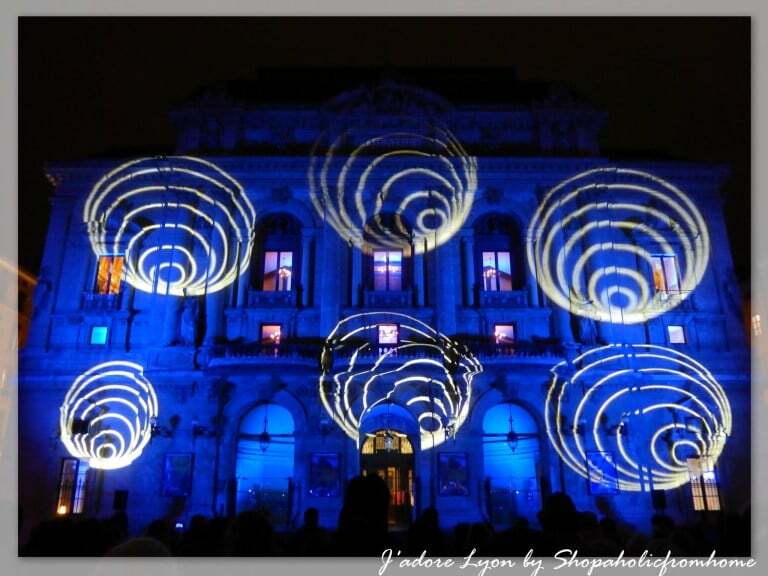 Ok, I had heard about Lyon Festival of Lights, I had seen the YouTube videos of the event. So yes, I wanted to see it all and I felt very lucky to be here in Lyon in December 2014. But when the weekend arrived, it felt cold outside, dark, and the idea of going out into the crowds, not taking a car (as there is no way you can park!) using the metro & buses as others were, started to put me off. But ok, I made an effort. I put three layers of clothes, took my camera, a few chocolate bars to keep me going and I drunk a strong and big coffee. 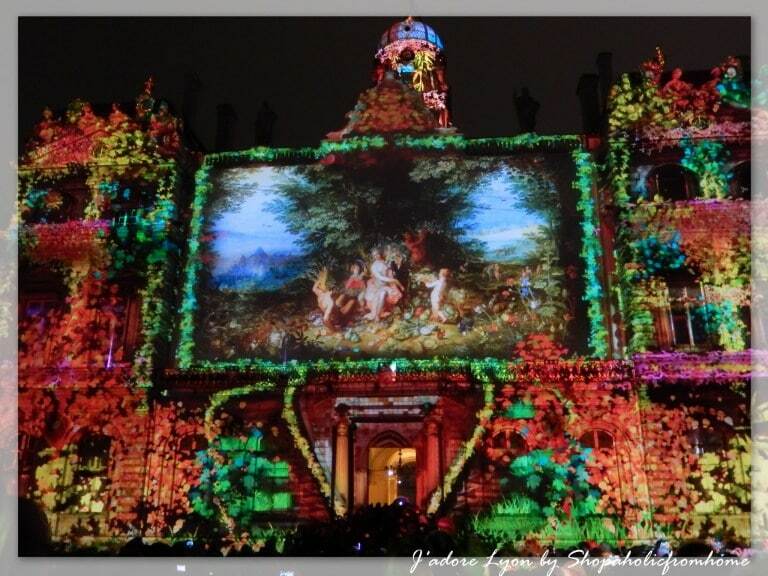 We had an idea what we wanted to see as the programme of the Festival of Lights has been available for some time. 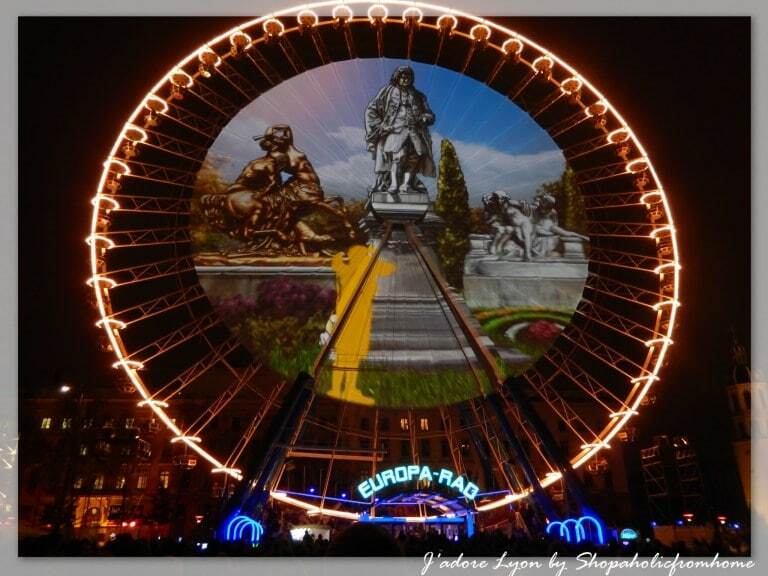 We planned for Friday the Schuman Bridge, Parc de la Tête d’Or, Rue de la République and we wanted to leave the main performances for Saturday. Sunday, we should do Fourvière and what is left and Monday the Croix Rousse. So with some sketch in our head we left and got into the park…this surprised me already….firstly, there were so many kids queuing for Nutella crepes (lucky me, having my snacks in a bag and going straight to explore the park!). There were many people but it wasn’t uncomfortably crowded as the park is quite big. So it gave the impression of the warm and cosy atmosphere, lively with people laughing and enjoying and the lights in the park have only heated up the temperature….very nice. And it was at the park that I became speechless for the first time…the lights were very creative and beautiful. I especially loved the ferries walking among us, medusas, flying fish etc. 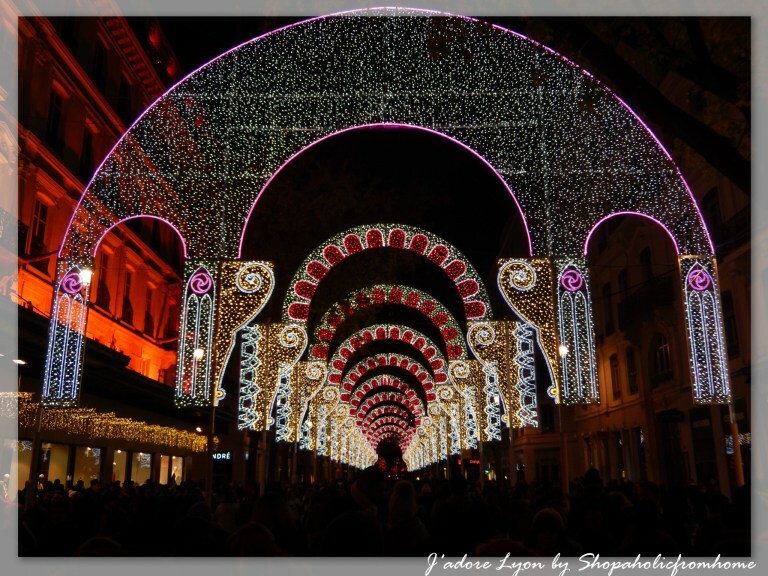 We had a nice & easy walk in the park, not rushed by crowds and we carried on to the Rue de la République….not for shopping this time but to go under the beautiful arch of colorful lights. Again it wasn’t that crowded as it was Friday. Before entering the famous lyonnais shopping street we passed through the square next to the Opera and…we could not resist and we stayed for a show which was amazing & energetic and funny – Anoki! Then we got the idea that we needed to change our schedule slightly, we should actually use the opportunity that it’s nice warm evening without the rain and that there are still not so many people…so we decided to go to some main points of the Fête des Lumières, namely the Hôtel de Ville. On Saturday, we decided to get into the center earlier so we could avoid the problems with transport, we could eat and drink something to warm and start our discovery of more of lights…We went to the pub, got warming up drinks, we started with Vieux Lyon. The Saint Jean presented unforgettable show with the classical music which I loved. I loved the Giants walking and the acrobats in the air! After this, we went quickly to the Place des Jacobins and Théâtre des Célestins for a lovely show and headed up to the Confluence area. On the way we were searching for something to eat and here again I need to express my surprise. So ok I expected some street food so this what I had to choose: Nutella crepes, hot dogs and hot wine. So creps- too sweet for me, hot dogs…well having an image of a little hot dog buns I thought how I am going to feed myself with a little sandwich? And hot wine…how French can actually allow to mess up with their precious wines? So I got a sandwich from a shop and made a small mistake on not trying the French hot dogs! Why? Well the French (or maybe only lyonnais hot dog) is really something! It is a real & fresh baguette and not one but 2 sausages inside; it’s warm and tasty. I tried it of course later and can confirm it’s good! So choose it if you can. I followed my French friends advice and not tasted the mulled wine as apparently you ‘should not destroy the taste of real French wine with spices’ but I was tempted as it smelled amazing & warm and just ideal to warm you up. So once we were charged ourselves with some food we explored Confluence and ended up in the Building of Lyon Metropoly for a Concert of Classical Music. It was great. We ended around 10pm and headed back home. On Sunday there was a plan to climb to the Fourvière but we could not move…after active Friday & Saturday – both evening walking and dealing with the temperature of a winter evening we were exhausted so we stayed in, avoided very busy and crowded city center and we decided we come back on Monday…not only it will be less crowded but also the idea of seeing all the city lighted with the little candles made me very happy and excited. On Monday, after lightening our lights on the balcony we went out, started with Croix Rousse and on top of the great shows, lights points we have admired, we got an amazing view and were lucky to see fireworks from the hill…..you could not ask for more! After we went down, got lost & discovered a part of Lyon we didn’t know before and we loved it…I felt in love with the Ballet Performance and I danced…danced…as others! 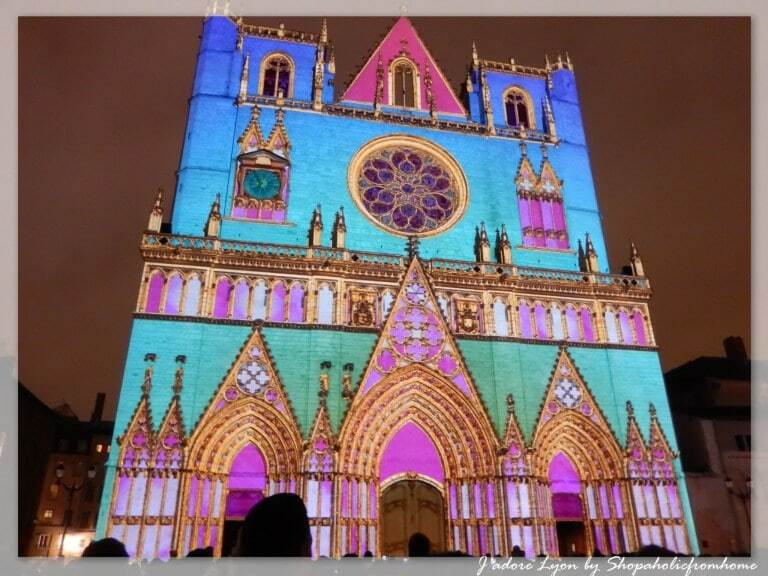 So Monday was calmer, less crowded but with beautiful atmosphere of the real lyonnais passion for Fête des Lumières. I could see how people are dedicated to their city and it’s very unique! So all in all, I love the fact that there are people that made me do things…. (I was forced to go out…) and I totally loved the event. I can honestly say i have never seen & experienced something that amazing in my life and to be honest I have already seen few beautiful things…. So now I look forward to the Fête des Lumières indeed. I don’t need anyone to force me to go It is me now who is convincing others to come over and see it! But I don’t think I need to recommend this for you heavily.